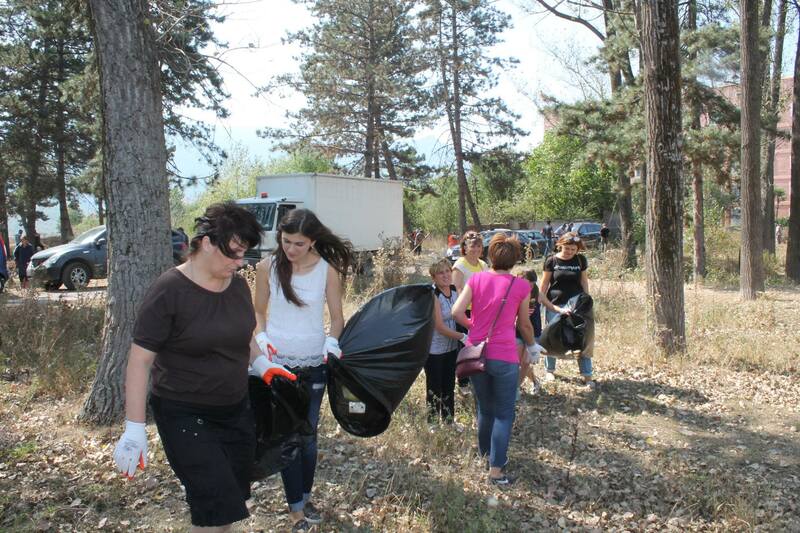 On September 15, "Clean up the World" campaign was celebrated with large-scale cleanup actions in Bolnisi municipality,organized by the local coordinator of the Greens Movement of Georgia / Friends of the Earth – Georgia, with support of local government. During the action were cleaned up the central districts of the village Kvemo Bolnisi and environs of SOCAR petrol station. Totally, 1ha area was cleaned up and 5m3 of waste was collected . The event was attended by 30 volunteers. This year, as in previous years, the Georgian regions took an active part in "Clean Up Georgia" campaign, and within its framework, from September 15 to September 17, numerous clean-up activities were carried out in the country. On September 15, within the framework of the campaign a cleanup action was carried out in the municipality,organized by the local coordinator of the Greens Movement of Georgia / Friends of the Earth – Georgia and with support of local government. The event was attended by Tetritskaro youth representatives, employees of “ Cleaning and Improvement Service”of Tetritskaro along with employees of Gamgeoba of Tetritskaro municipality. On September 15, "Clean up the World" campaign was celebrated with large-scale cleanup actions in Tianeti municipality,organized by the local coordinator of the Greens Movement of Georgia / Friends of the Earth – Georgia and with support of local government. During the action was cleaned up the neighborhoods of 1km long section of the village Zhebota motorway. Totally, 4 ha area was cleaned up and 7m3 of waste was collected . Apart from organizers, the event was attended by 150 volunteers. 2017-09-16 On September 15, "Clean up the World" campaign was celebrated with large-scale cleanup actions in Tianeti municipality,organized by the local coordinator of the Greens Movement of Georgia / Friends of the Earth – Georgia and with support of local government. During the action was cleaned up the neighborhoods of 1km long section of the village Zhebota motorway. Totally, 4 ha area was cleaned up and 7m3 of waste was collected . Apart from organizers, the event was attended by 150 volunteers. The Campaign "Clean up the World" was organized within the framework of the project - "Clean Up Georgia" (Phase III), implemented by NGO Consortium - " The Greens Movement of Georgia / Friends of the Earth Georgia", Georgian Society of Nature Explorers “Orchis, “Ecological Awareness and Waste Management”, with financial support of the Government of Sweden and in collaboration with the Ministry of Environment and Natural Resources Protection of Georgia. 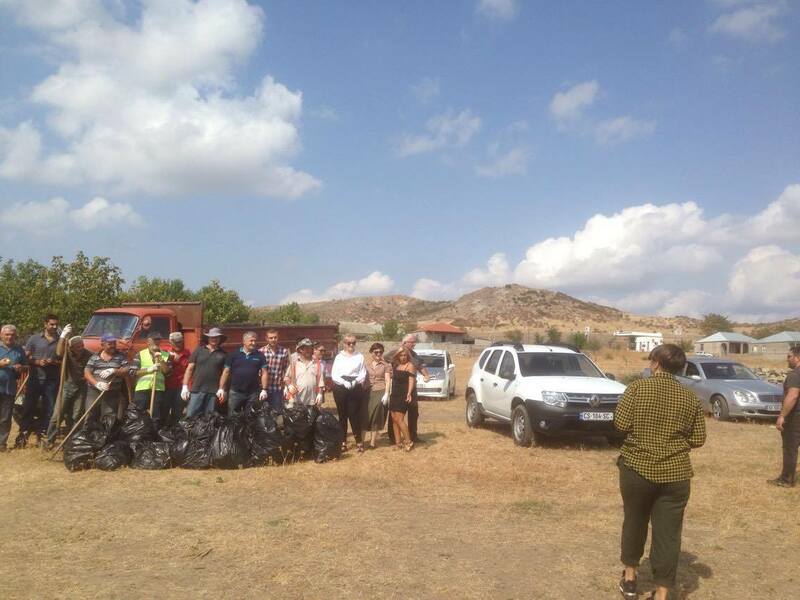 On September 15 , within the framework of "Clean up the World" campaign was carried out cleanup action in Tskaltubo municipality, organized by the local coordinator of the Greens Movement of Georgia / Friends of the Earth – Georgia and with support of local government. In the action took part representatives of Gamgeoba and local residents. On September 15, in the framework of "Clean up the World" campaign was carried out clean up action in Khashuri ,organized by the local coordinator of the Greens Movement of Georgia / Friends of the Earth – Georgia. During the action were cleaned up the town entrance area and highway neighborhoods. 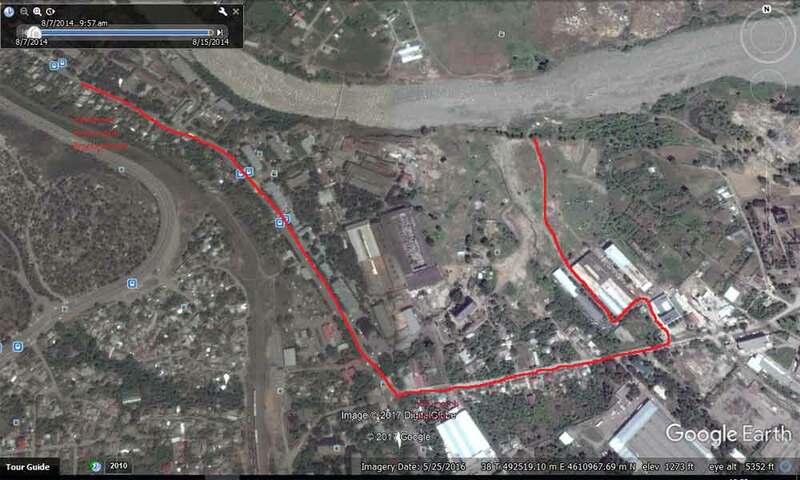 About 1,5ha area has been cleaned up and around 4 m3 of waste was collected. Event has been attended by 150 volunteers. On September 15, in many countries around the world has started an annual international cleanup campaign –“ Clean Up the World!”, initiated by the United Nations Environment Program (UNEP) in 1992. The campaign brings together governments, businesses, community groups, schools, and individuals for carrying out large-scale clean up actions and implementation of relevant environmental programmes aimed at improving local environment. The campaign is traditionally held on the third week of September each year and lasts for three days. Today it brings together more than 140 countries around the world, including Georgia. This year, "Clean Up the World - Clean Up Georgia" campaign is held in Georgia for the eighth time and implemented within the framework of the project "Clean up Georgia" (Phase III). The motto of the campaign : Our Place…Our Planet …Our Responsibility. 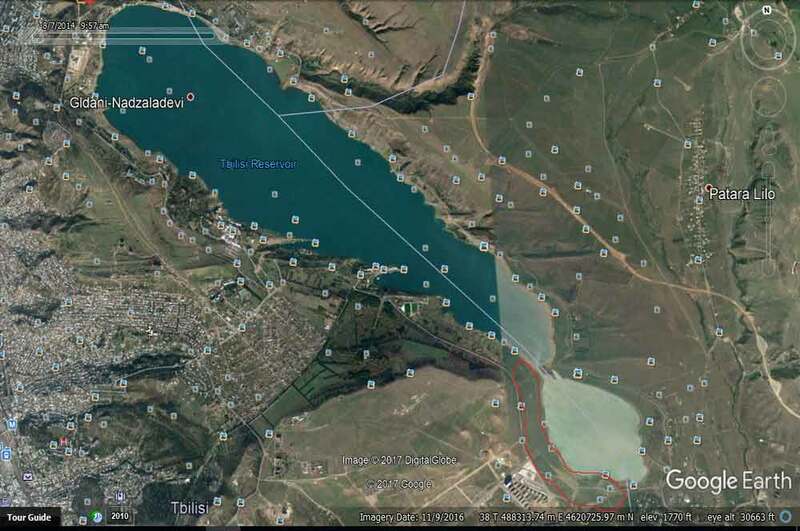 On September 15, Georgia launched the "Clean Up the World " Campaign from Tbilisi, with clean up action of Tbilisi Sea adjacent area. "Clean Up the World - Clean Up Georgia"
Within the framework of organized action under "Clean up the World" campaign will be cleaned up access road to kindergartens, yard and surrounding area, Zestaponi Municipality Gamgeoba territory, central streets of village Kvaliti settlement, yards of block houses. Within the framework of organized action under "Clean up the World" campaign will be cleaned up the Chiatura Council, Central Sports School, Educational- cultural center, ,library, Rugby School, Chiatura drama theater, football club "Chiatura", United kindergarten and Sandro Kavsadze N1 and N2 music schools central and nearby territories. 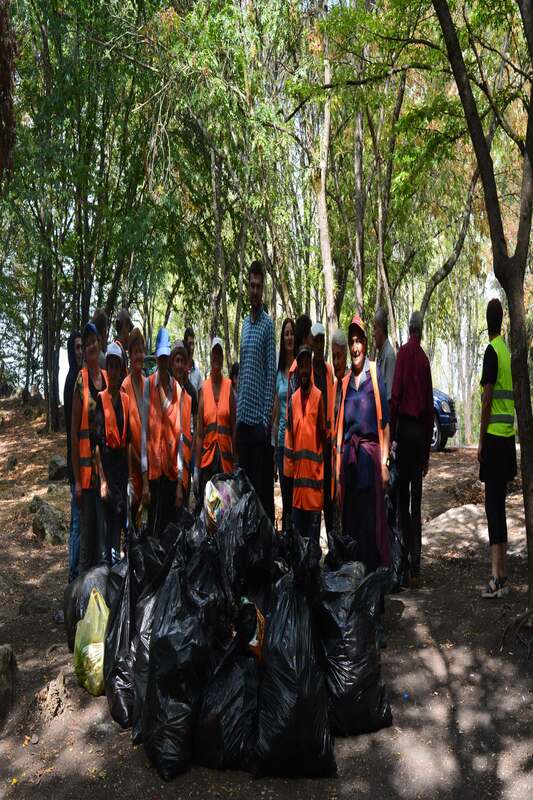 Within the framework of organized action under "Clean up the World" campaign will be cleaned up the Railway, Borjomi Street and Surami Park neighborhood areas. 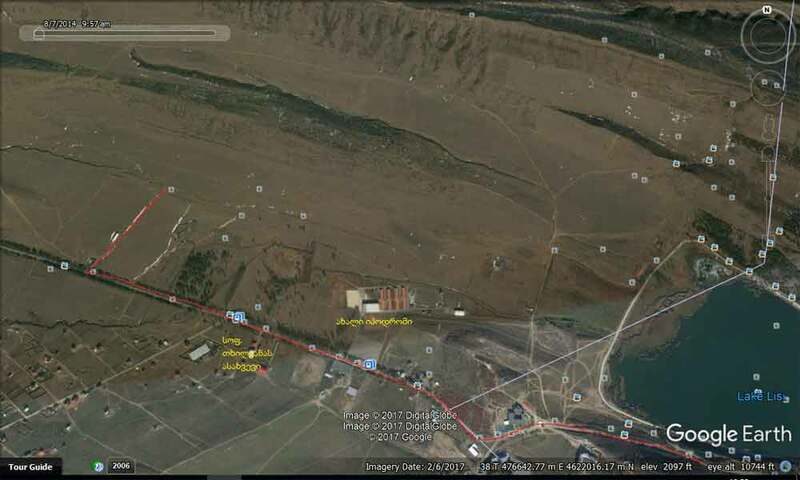 Within the framework of organized action under "Clean up the World" campaign will be cleaned up Kizil Kilisa unauthorized landfill and village Amranovo center. 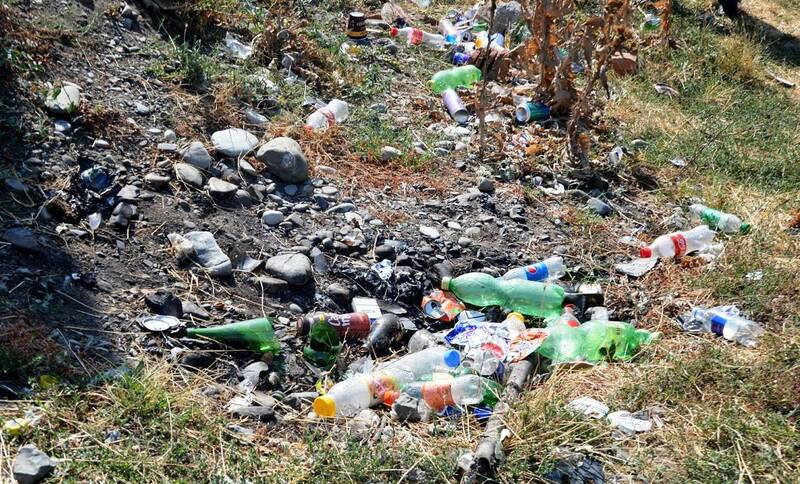 Within the framework of organized action under "Clean up the World" campaign will be cleaned up the territories of the Council and Gamgeoba of Sachkhere municipality.